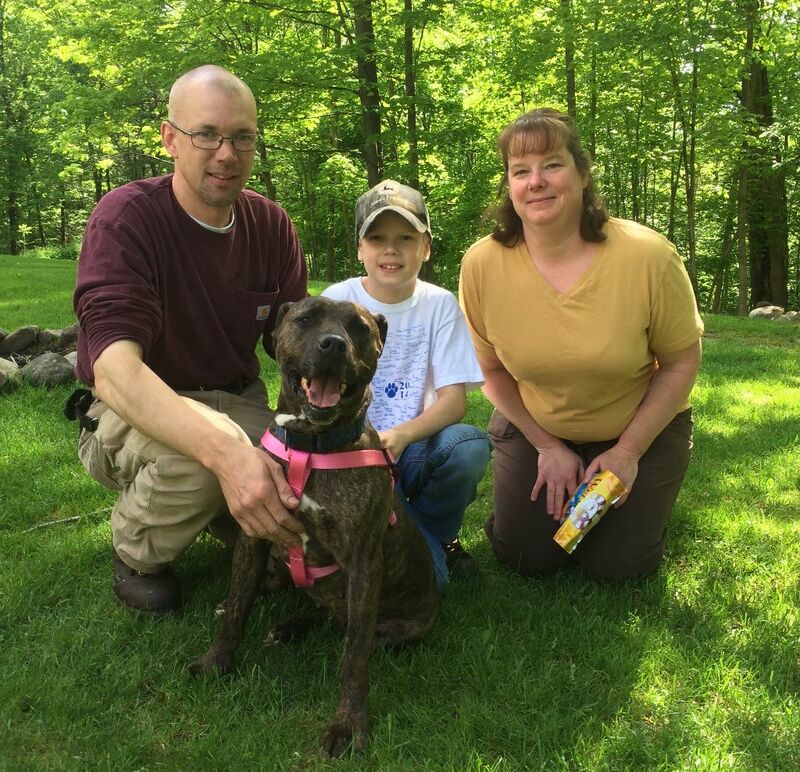 Tanya: ADOPTED! | Mr Bones & Co.
Tanya is 7 1/2 years old, weighs approximately 50lbs. and is a healthy and beautiful brindle Am Staff/Mastiff mix. She is house trained and incredibly gentle and affectionate with people. Tanya is located in New York City and has adjusted beautifully to life outside the shelter. She tolerates being home alone well. If you have room in your home and heart to give this very special lady the home she has been waiting SEVEN YEARS for, please let us know! 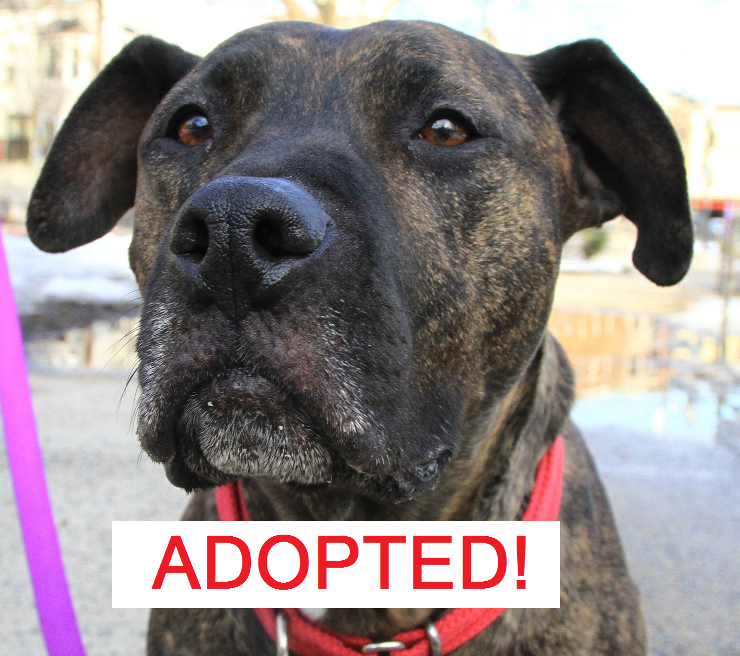 UPDATE: May 24, 2014 – Tanya has been ADOPTED! Thank you all for thr support and encouragement. After 7 1/2 years homeless, Tanya has found the family she has been waiting her entire life for. We are thrilled!